Can also be used in freezers and refrigerators, making it a useful choice for baking, reheating and serving. Color - Transparent, Material - Borosilicate glass, Package Contents - 1 pc, Capacity - 650ml (0.65 Ltr), Dimension - 20.2 x 17.8 x 3.8 cm. 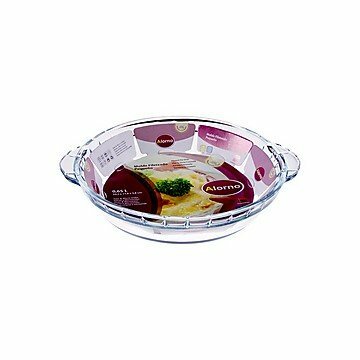 Alorno Alorno Borosilicate Glass, Easy Hands, Fluted Pie Dish, 0.65 Ltr is available for 279 Rupees on Amazon India. This price is vaild for all major cities of India including Delhi, Mumbai, Kolkata and Chennai. 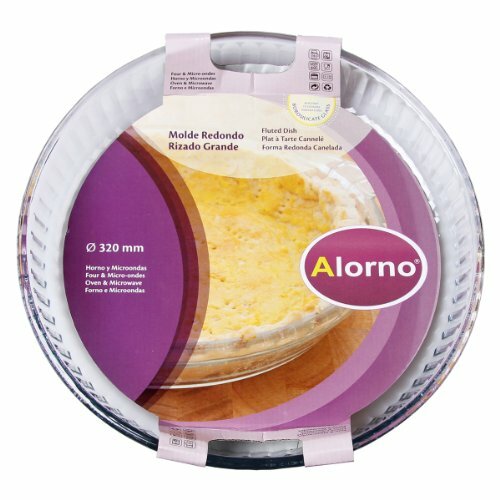 The latest price of Alorno Alorno Borosilicate Glass, Easy Hands, Fluted Pie Dish, 0.65 Ltr was retrieved on 26th April 2019. LegalDisclaimer Cleaning : Wash your Alorno product with care, avoiding the use of abrasives, such as steel wool or liquid saponaceous. Avoid scratcing with sharpened or pointed utensils, even during cleaning. If the product cracks, chips or suffer any kind of fall or impact, it can not be used in the oven anymore. 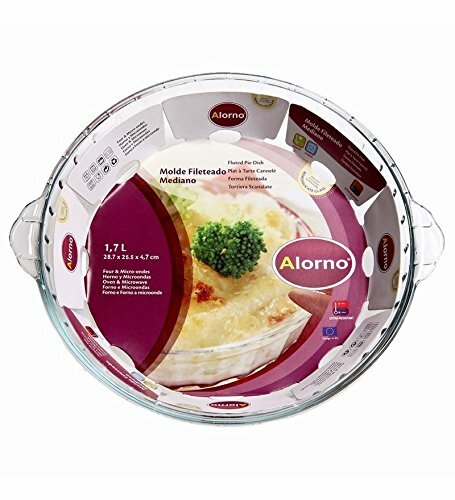 Use : Do not place your Alorno product directly exposed to the stove burner, on electric burners, hot plates or grills. Do not use your Alorno product on cold or wet surfaces, and do not pour liquid or cold products into a hot Alorno. If the above directions are followed your Alorno product will continue being useful and practical in your kitchen for many years.